There are many advantages to practicing yoga in a group: camaraderie, connection to a group consciousness, finding inspiration in others, and collaborative learning (gaining knowledge from other’s experiences.) There are also numerous advantages to a one-on-one approach to continuing education, particularly within yoga. Yoga is traditionally taught one on one, passed from teacher to student. How can this tradition benefit your practice? VIP treatment every step of the way – we can even bring the training to you and customize the learning experience to your body of water. SUP Skills: Paddle technique including stroke and maneuvering, board anatomy and handling, entry and exit techniques, caring for your board. Weather and water safety: Regulations, local knowledge, rescue techniques and lifesaving skills. Building Your Business: Purchasing and preparing, start up capital, marketing and advertising, web development and software, reaching your audience. Defining Your Brand coaching session: use creative visualization techniques to feel out the brand you want to build and create a branding and vision board. Equipment for training including Glide Yoga Board, paddle, anchor, and PFD. Stoked Yogi beach bag filled with apparel, accessories, and goodies from our sponsors. Contact us via form below with your location, dates, and number of students for a personalized quote. Why Stoked Yogi? Amelia Travis has created something magical with Stoked Yogi. She has attached her invaluable and massive amount of knowledge to a tribe of water-loving supportive yogis with an energy and vibe that cannot be replicated or beat. It is not just a SUP Yoga training it is a life-changing experience. I honestly can’t say what I have personally benefitted from more- the experience of the retreat and being part of this rad Stoked Yogi tribe, or the training itself. I have received multiple trainings and certifications throughout different sports and careers, and Stoked Yogi tops them all. When you leave training, you come away with the knowledge to confidently teach both paddle techniques and SUP yoga classes to people of all levels. The water rescue and safety training is invaluable. That feeling of knowing that I can safely take out my clients means everything. If that wasn’t enough, you walk away with a wealth of business knowledge and contacts– both during and after training. I know that I am only one of many to start their own SUP yoga business. That leads me to the actual retreat experience. The energy, kindness and overall vibe of a Stoked Yogi training are almost impossible to express in words. I know that I left a changed person. I became more confident and ready to chase my dreams after feeling the love and support of other water loving yogis. What makes it more special is that support didn’t end when I left training. You are forever connected to this amazing Stoked Tribe. That alone is invaluable. Working with Amelia and her team is transformational. Not only do they impart incredible and in depth knowledge, but the energy and space Amelia brings to everything she, and her team, does is both impactful and exhilarating. The attention to detail, professionalism, quality and experience are priceless. I’m so grateful to have found Stoked Yogi to get my certification and will continue to do business with them and recommend them to anyone looking to grow personally and professionally. As far as my Stoked Yogi experience, the whole thing was really great. I remember even way back when I was originally signed up for the Miami training and from the first time I spoke on the phone with Amelia I felt welcome to the tribe. I was so stoked for the Miami training but little did I know the universe had better plans in store and with a little mix up in booking details Miami fell through and I decided to trek it to the west coast for the most beautiful location for training I could have wished for. You define the word tribe in your trainings and I left feeling like I had gained a whole lot of sisters and a couple brothers. Being a very new teacher I left feeling confident and well rounded and like I found my place in the yoga world. From the moment I walked into my Stoked Yogi Training Amelia and her crew made me feel so welcome and loved. It was so seamless and cool and that vibe only got better. I am a yoga teacher but I had never done any SUP Yoga so I was a little nervous and didn’t know what to expect. I can honestly say that every day was a new and beautiful adventure, I even had fun when I fell in! SUP Yoga is such a unique and soulful experience it was so amazing to connect my practice to nature and water. I went to Stoked Yogi for a teacher training but it felt more like a retreat. I loved every second and learned so much! Amelia is a true inspiration she’s warm and fun and spiritual and also a total badass mermaid. I had a blast at Stoked Yogi and I am so grateful for the experience and love being a part of their tribe. The course definitely met and exceeded my expectations. I went all the way from Sydney to San Diego, wondering if it would be worth it – and it was! Amelia is an amazing professional who loves the ocean and has plenty of knowledge on paddle board technics and yoga teaching. She picked the perfect place and the perfect assistants, everyone very patient and with heaps of instructing skills. I spend such an awesome time and learned a lot, although my practice was a bit limited as I had done the teacher training while pregnant! I taught a few times here in Sydney since then but had to stop due to the birth of my baby – but I’m soon to reintegrate SUP yoga classes to my schedule back again here in Sydney and also in Canberra. I would recommend a thousand times if i could. Thanks Amelia and all the team at Stoked yogi – I hope our paths cross soon again. After TT with Amelia in Florida on July 2014 I totally feel like a true Stoked Yogi! She has an ability to inspire and motivate teachers to take their practice off the mat and unto the board and in the water. The training was thorough from safety in the water to creative sequencing. Amelia creates a great balance between focused serious and fun and adventurous training. She is also really good at creating community and because of this the TT felt more like a retreat than a TT. 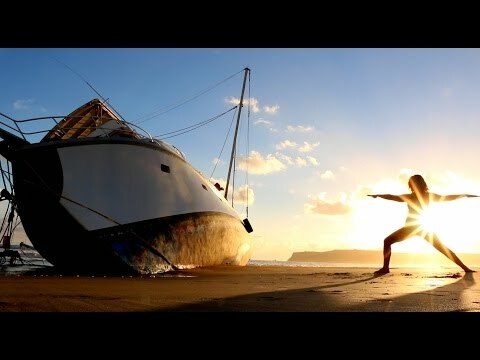 I highly recommend Stoked Yogi for anyone looking to expand their practice into the water. I was thinking of you as I am reflecting on all I’m thankful for this year. Taking my first paddle yoga class with you taught me so much about myself, pushing myself, trying new things and enjoying life! And you inspired me to do that headstand move!! You gave me the confidence to try yoga poses on water that I normally don’t even try in a studio! Like headstand! I always think I’m going to roll forward, but I saw you do it and it gave me the push I needed to try it. Stoked Yogi SUP yoga teacher training was a completely transformative experience for myself as a teacher and for my personal practice. Melanie Smith is an amazing person and teacher: highly knowledgeable about yoga, paddle boarding, and the beautiful integration of the two that make up SUP yoga. I was impressed by the full scope of our training, including specific details on land and in the water. I could not have asked for anything more from the training – I feel confident and emboldened to teach and share SUP yoga with others. I can’t wait to continue my SUP yoga adventure with the Stoked Yogi Tribe!